Are you looking for quality and affordable garage door spring repair in Warren, MI? 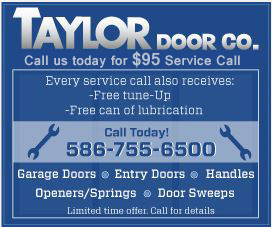 Taylor Door Co. is the place for you! We have been servicing your garage door springs in Warren for more than 30 years! Our garage door spring repair company is a member of the International Door Association and family-owned and operated, so you can be sure we’re a name you can trust! We guarantee you’ll never pay more than $300 on any garage door repair! Let us fix your broken garage door spring today! Call 1-800-NEW-DOOR! Ask about our same-day garage door service when you call before 11 a.m.
We always are upfront about our prices for garage door spring repair in Warren, MI, guaranteeing you won’t have any surprise fees or costs. We even offer same-day garage door repair when you call before 11 a.m. 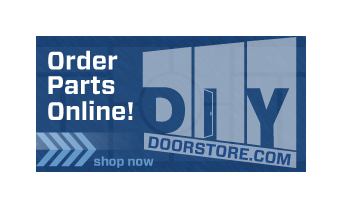 Looking for other garage door repair services in Warren? Contact us today! Taylor Door Co. is your most trusted in garage door spring repair in Warren, MI! We offer the customer service and products you can trust! Call 1-800-NEW-DOOR or request a free garage door spring repair quote online!